When I downloaded The Machine to my Kindle, I placed it in the horror category. The publisher’s elevator pitch or tagline “a Frankenstein for the 21st century” evoked imagery of Cronenbergian body horror, limbs being swapped out, weird experiments. I don’t think I’ve ever misjudged a novel so much in my life. Beth is trying to rebuild her husband. When Vic returned from the war in Iran, he was damaged. A piece of shrapnel to the head ended his military career, and left him with PTSD. When Beth heard of a miracle technology that could fix him, she took him along to have the Machine erase his memories of the war. But it took more than that, leaving him an empty husk. Now Beth has a Machine of her own, and she is determined to fix her husband by any means necessary. To give away much more of the plot would be doing the Machine a disservice. It’s a book that calls out to be read, moving at a deliberate pace, but never feeling slow. It’s also one of those books that’s left me feeling emotionally shattered after reading; probably the first since The Road. That’s an apt comparison, because there are many similarities in the writing of James Smythe and Cormac McCarthy. Smythe also forgoes the use of speech marks and italics, blending the speech of the characters in with the various actions they perform. It’s an interesting choice, but I found the book read well because of it, and the characters’ individual voices were strong enough that I rarely had a problem distinguishing between dialogue and description. The other McCarthyesque attribute is the description itself. It’s sparse, Smythe choosing not to overindulge in showy displays of vocabulary, instead letting relatively few words paint the picture, with the reader filling in the rest for themselves. It’s not a particularly attractive picture. I’ll not invite further comparison to The Road by calling it a post-apocalyptic story; it’s not quite. It’s more pre-apocalyptic, with the world heating up and London being wracked by floods. There’s a tension to the whole thing, like society is very slowly falling away, and all the world needs is one more big thing to push it over the edge into oblivion. And yet, that’s not what the story’s about, not really. Beth is a teacher, so we get to see the unruly children she presides over, with their gang mentality and anarchic behaviour. We get to see the religious fervour of the anti Machine groups outside the home she visits Vic in, during the novel’s first act; their protests calling to mind the ‘end is nigh’ false prophets, furthering the pre-apocalypse feel to the whole thing. We get to see her burgeoning friendship with a recent addition to the school’s staff, Laura. All these elements serve to show us the world Beth inhabits, but at its core, this is the story of her and Vic. The dressing is nice, but the whole thing falls apart without that heart. Fortunately, the story is very well told. Beth’s quest to right what went wrong goes through three phases, each taking up a single act. The preparation, the attempt at fixing, the aftermath. It starts with the Machine being delivered to her door, and from there, the tension builds throughout, ratcheting to a fever pitch before the end (which I did not managed to predict) came crashing over like a wave. As I mentioned before, it’s deliberately paced, even slow at times, though never boring. I finished the book within a few days because I just had to keep going. If you’re going to read it before an early start the next day, make sure you start reading early. There’s a strong amount of ‘one more chapter’ syndrome with this one. This was a difficult review to write, perhaps because the book was a challenging read. It left me reeling, and I felt a little emotionally drained afterwards, but it was rewarding, and comes highly recommended for anyone who’s a fan of thoughtful speculative fiction. 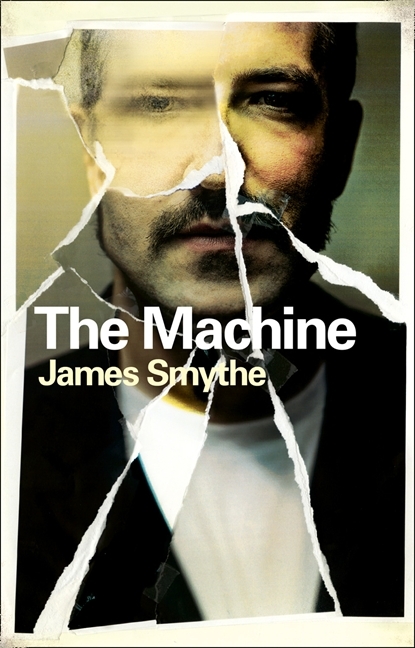 This entry was posted in Book Reviews and tagged book review, Books, fifty books, James Smythe, review, sci-fi, science fiction, The Machine by Chris. Bookmark the permalink.